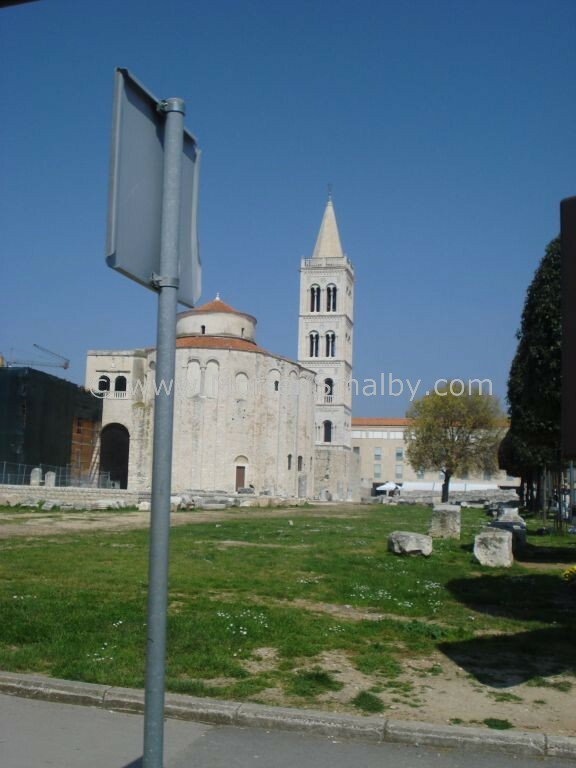 Hotel Kolovare**** is situated near the historical sights of the old town in Zadar, from the peaceful and picturesque city part guest have view on the Channel of Zadar and the islands. The hotel represents modern and original architectural building, adjusted to the Mediterranean climate, with modern furnished rooms. The hotel has 191 rooms and 12 apartments’ available, all rooms are equipped with air – condition, balcony, bathroom with hairdryer, mini –bar, sat TV, internet access, safe deposit box. At the hotel you can find a la carte restaurant for more then 250 guest, a wine shop, aperitif bar, hairdresser’s salon, massage, congress facilities, and rent-a-car service. Outdoor facilities include swimming pool for children and adults and a sports and recreational centre with tennis, volleyball and mini-golf courts. The beach is situated in the vicinity of Hotel Kolovare. 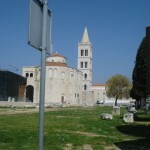 The City centre of Zadar with its cultural and historical sight can be reach by foot. From hotel there is option to join a number of one day excursions, e.g. to national parks Krka. Guest arriving with own or rental car has option to take a large verity of one day excursion in the area, ask in reception for suggestions. Hotel Kolovare is also suitable for various congress events and has on disposal 2 big and a few small congress halls. All other necessary equipment accessible in hotel can be used on request. The Restaurant of Hotel Kolovare offers national and foreign cuisine, during the summer one can enjoy the restaurants specialities at the pool terrace which can accommodate up to 500 people. In the wine shop there is a large selection of Croatian and foreign wines, the locals wines are divided in regions from where they come: middle and southern Dalmatia, northern Dalmatia and continental part of Croatia. Among the foreign wines there are Slovenian wines, Austrian, Italian, French, Spanish, American and wines from Chile.